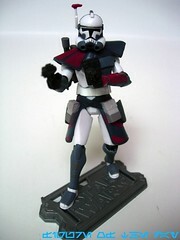 CLONE COMMANDER COLT Includes Blaster! Commentary: As I mentioned yesterday with Blitz, ARC Troopers are the stuff of toy and fan legends. We love these guys. 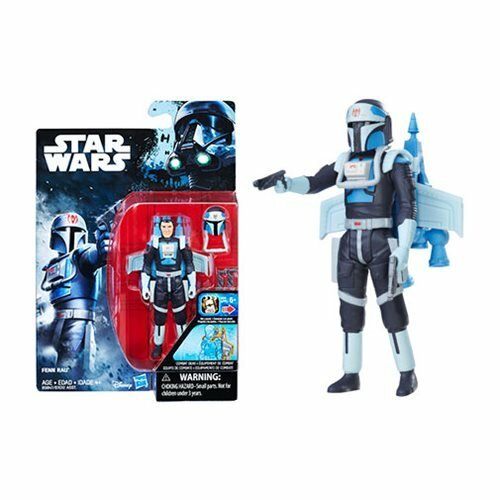 The only single-carded ARC Trooper from the cartoon line was the tough-to-find Clone Commander Colt in 2011, and Hasbro's treatment of the animated ARCs shows a pretty strong desire to not make money. These guys are hot, sell well, and are worth a bunch of money. Why are they so hard to get? Hasbro did 4 versions, 3 of which were exclusive to Battle Packs, I assume just to punish the rest of us. Well, not me, I shelled out and got mine. Colt is an exciting release because fans actually knew his name, plus a generic "ARC Trooper" which looked very similar to him came in a previous Battle Pack. This one fixes the deco with the "teeth" on the helmet, grey boots, stripes on his kama, and other deco changes. 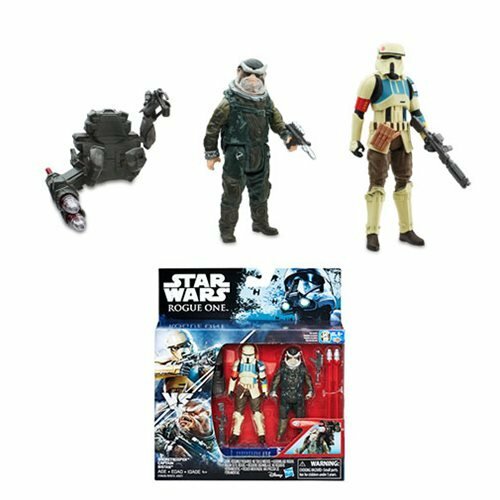 If you want a red ARC Trooper and aren't picky about the specifics, you could go after the Battle Pack, but that's expensive too. I think it was something of a surprise that this figure came out given Hasbro's treatment of the animated line since the middle of 2010, as they seem to be getting the short end of the collectible stick. It's a good figure and for $9, you'd have loved it. Trust me, you would have. Collector's Notes: Canadian samples are cheaper, loose or carded ones go for $20ish usually. Unless you're on Amazon, they cost more there. It's a good figure. If you can find one in the back of a Walmart or as part of a collection on eBay, get it. You'll love it. 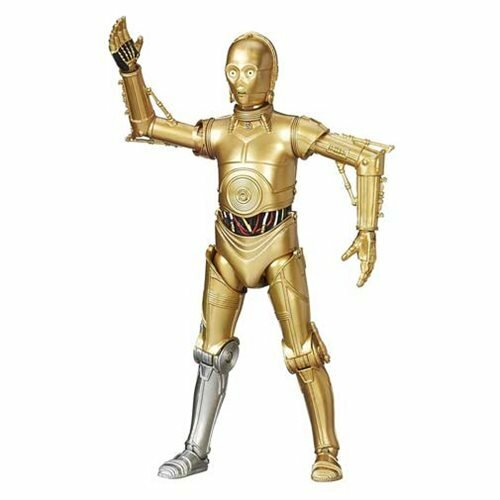 Unless Hasbro reissues it, this is probably one of the figures today's kids will want to chase down when they give up on life and are enjoying high-paying jobs as dental hygienists, plumbers, or whatever career neither you or I were smart enough to get in on.